On the afternoon of September 17, 2015, the SEC was rebuffed by two federal courts in separate cases challenging the constitutionality of the SEC’s administrative law enforcement proceedings. As reported here, the Court of Appeals for the Second Circuit granted Lynn Tilton an order barring the SEC from proceeding with an administrative trial on charges against her, pending that court’s resolution of a dispute over whether the federal courts have jurisdiction to consider her complaint that the administrative proceeding would violate Article II of the Constitution. At roughly the same time, New York federal district court Judge Richard Berman rejected a motion by the SEC to allow it to proceed with an administrative action against Barbara Duka while it appealed (to the Second Circuit) Judge Berman’s preliminary injunction barring that proceeding from moving forward, on the very same constitutional grounds. Judge Berman’s preliminary injunction order can be read here: Order Issuing Preliminary Injunction in Duka v. SEC; and his order denying the SEC’s stay motion can be read here: Decision and Order in Duka v. SEC. The result is that two more administrative proceedings are now barred by court orders, joining two others that were barred by orders of Judge Leigh May in the federal district court in Atlanta. See Court Issues Preliminary Injunction Halting Likely Unconstitutional SEC Proceeding, and Order Enjoining SEC in Gray Financial Group v. SEC. The Second Circuit order was brief and straightforward. But Judge Berman’s denial of the SEC’s application for a stay is filled with meaty discussions of key issues, including reiterating that several of the SEC’s positions on jurisdiction and the merits are wrong, suggesting that the SEC plays a little fast and loose with the positions it argues, and emphasizing that the SEC might want to be more proactive in addressing allegations of potential bias in its administrative court. On the jurisdictional issue, Judge Berman restated his belief that his court does have jurisdiction over the Duka constitutional challenge (“The Court is, respectfully, convinced that it made the correct finding of subject matter jurisdiction,” slip op. at 3), and took the time to address the contrary position recently reached by the Seventh Circuit in Bebo v. SEC, 2015 WL 4998489 (7th Cir. Aug. 24, 2015) (see 7th Circuit Rules for SEC, Affirming Dismissal of Bebo Case on Jurisdictional Grounds). He openly disagreed with the Seventh Circuit’s view that the Supreme Court decision in Elgin v. Dep’t. of the Treasury, 132 S. Ct. 2126 (2012), was on point because the factual circumstances differed significantly. See slip op. at 8-9. Judge Berman also made pointed statements elsewhere in his opinion arguing that immediate consideration of the consitutional issue was consistent with Second Circuit law and the public interest. For example: “The SEC argues unconvincingly that a party in Ms. Duka’s shoes ‘must patiently await the denouement of proceedings within the [administrative agency],” . . . . But Second Circuit precedent appears to refute such a notion. See Touche Ross & Co. v. S.E.C., 609 F.2d 570, 577 (2d Cir. 1979) (‘[T]o require appellants to exhaust their administrative remedies would be to require them to submit to the very procedures which they are attacking.’).” Slip op. at 15-16 (some cites omitted). And: “With respect to the public interest, the Court submits that it is of the utmost importance to the public that complex constitutional questions be resolved at the outset, with finality, and by application of the expertise of the federal courts. See, e.g., Massaro v. United States, 538 U.S. 500,504 (2003); see also Pappas v. Giuliani, 118 F. Supp. 2d 433, 442 (S.D.N.Y. 2000) affd, 290 F.3d 143 (2d Cir. 2002) (‘Although often highly competent in their designated area of law, administrative decision-makers generally have neither the training nor the experience to adjudicate complex federal constitutional issues.’); Austin v. Ford, 181 F.R.D. 283, 286 (S.D.N.Y. 1998) (‘Public interest in finality of judgment encompasses the development of decisional law, the importance of the opinion to nonparties, and the deterrence of frivolous litigation.’).” Slip op. at 16 (some cites and footnote omitted). All of these points could be impactful as the Second Circuit considers the same jurisdictional issue in the Tilton v. SEC appeal. On the merits, Judge Berman restated his belief that Supreme Court case law leaves little doubt that the SEC’s administrative law judges are “inferior officers” within the meaning of that term in Article II, and, as a result, their appointments are subject to limitations in Article II’s Appointments Clause. His finding that the High Court reasoning and holding in Freytag v. Commissioner, 501 U.S. 868 (1991), yields the conclusion that SEC ALJs are inferior officers because they exercised “significant authority pursuant to the laws of the United States” was not new – as he noted, he previously reached the same conclusion when he issued the preliminary injunction. Slip op. at 9. But it came within two weeks of the SEC reaching the opposite conclusion in its recent decision on the petition for review in In the Matter of Raymond J. Lucia Cos., Inc., File No. 15006 (see SEC Declares All Is Okay Because Its ALJs Are Just Employees and Not “Inferior Officers”), without even mentioning that decision or its analysis, suggesting Judge Berman found the SEC reasoning unpersuasive and sees no reason to defer to SEC views on the issue. No doubt with knowledge of the specific analysis of the SEC in Lucia, he still wrote: “the SEC will not, in the Court’s view, be able to persuade the appellate courts that ALJs are not “inferior officers.” Slip op. at 11. Judge Berman’s bottom line: “Duka’s constitutional (Appointments Clause) challenge is (very) likely to succeed.” Id. at 10. On the SEC’s nimble willingness to revise its arguments to fit the circumstances, Judge Berman noted the “irony” of the SEC’s new-found emphasis on the compelling importance of judicial efficiency after it scoffed at Ms. Duka’s similar arguments in the original preliminary injunction hearing. He wrote: “The Court’s reference to ‘irony’ [in an earlier ruling] refers to the fact that conservation of Duka’s resources was a core argument that she raised in objecting to participating in the SEC’s administrative proceedings prior to resolution of her constitutional challenge in federal court. The SEC flatly opposed that argument, which it now appears firmly to embrace.” He quoted his own statement during the oral argument that “I don’t understand why you reject that argument when Ms. Duka makes it but then at the same time in this Court you make the very same argument.” Slip op. at 3 n.2. The Court is aware of recent allegations of undue pressure said to have been applied to an SEC ALJ to cause her to make SEC-favorable rulings. “Lillian McEwen, who was an SEC judge from 1995 to 2007, said she came under fire from [Chief Administrative Law Judge Brenda] Murray for finding too often in favor of defendants.” See Jean Eaglesham, SEC Wins with In-House Judges, The Wall Street Journal, May 6, 2015. . . . And, in In the Matter of Timbervest, respondents allegedly sought to depose presiding ALJ Cameron Elliot, who was then allegedly invited by the SEC “to file by July I, 2015 an affidavit addressing whether he has had any communications or experienced any pressure similar to that alleged in the May 6, 2015 The Wall Street Journal article.”. . . On June 9, 2015, ALJ Elliot emailed the following response: “I respectfully decline to submit the affidavit requested.” See Jean Eagelsham, SEC Judge Declines to Submit Affidavit of No Bias, The Wall Street Journal, June 11, 2015. . . . On July 24,2015, Chief Administrative Law Judge Murray issued an Order Redesignating Presiding Judge, designating Administrative Law Judge James E. Grimes “in place and stead of the Administrative Law Judge [ALJ Cameron Elliot] heretofore designated, to preside at the hearing in these proceedings and to perform other and related duties in accordance with the Commissioner’s Rules of Practice.” See In the Matter of Barbara Duka, File No. 3-16349 (SEC). During the September 16, 2015 hearing, the Court noted that it was “aware that there is some sort of flap at the SEC with respect to some of the ALJs,” that it “want[ed] to get further clarification about that matter,” and that “in this very case, [ALJ] Cameron Elliot . . . has been reassigned because he was not able or would not submit an affidavit.”. . . While acknowledging that ALJ Elliot was removed from the Duka matter, Ms. Lin contended that “Judge Elliot has a very busy docket . . . and there is no suggestion, no connection whatsoever about [The Wall Street Journal article], about that particular former ALJ’s accusations to Judge Elliot’s reassignment in this case. . . . And it’s not true that there would be any kind of connection.”. . . The Court assumes that the SEC will want fully to investigate these matters. Slip op. at 14-15 (citations omitted and emphasis added). When all of the dust settles on the Appointments Clause and other Article II constitutional challenges to these administrative courts, we will still be left with what every practicing securities litigator knows are vastly diminished due process rights in the SEC’s administrative courts as compared to the federal courts. Judge Berman certainly seemed concerned about this in his opinion. He said: “during the September 16, 2015 hearing, the SEC argued that administrative proceedings would serve the public interest because ‘it is a much faster process and it expedites the consideration and the determination of whether the underlying security violations had actually occurred and, more importantly, to impose the kind of remedy that would then help to prevent future harm.’. . . The Court responded that ‘faster is [not] necessarily better because faster means no juries, no discovery, no declaratory relief. In federal court you can get that . . . there’s a whole lot of protections, Ms. Duka argues, that are available in federal courts that are not available before the Commission. '” Slip op. at 16. If the SEC continues to be empowered to exercise effectively uncontrolled discretion over which cases are directed to the administrative courts (as a result of the expanded jurisdiction of those courts under the Dodd-Frank Act), and it continues to ignore obvious needs to modernize and balance the procedures for those proceedings to eliminate their “Star Chamber” similarities, the controversy over these actions will be unabated. This entry was posted in Administrative Proceedings, Enforcement Overreaching, SEC Enforcement, Securities Law and tagged administrative courts, administrative law judge, administrative proceeding, ALJ, ALJ Brenda Murray, ALJ Cameron Elliot, ALJ James Grimes, Anne Small, Appointments Clause, Article II, Barbara Duka, Bebo v. SEC, Brenda Murray, Cameron Eliot, Cameron Elliot, constitutionality, due process, Duka v. SEC, Elgin v. Department of Treasury, Elgin v. Dept. of Treasury, Enforcement Division, equal protection, Freytag, Freytag v. Commissioner, Gray Financial Group, Gray Financial Group v. SEC, Hill v. SEC, In the Matter of Lynn Tilton, In the Matter of Timbervest, James Grimes, Jean Eaglesham, Judge Berman, Judge Leigh Martin May, Judge Leigh May, Judge Richard Berman, Laurie Bebo, lawyer, legal analysis, Lynn Tilton, N.D. Ga., preliminary injunction, Richard Berman, Rules of Practice, SEC, SEC enforcement, SEC Rules of Practice, SEC v. Duka, SEC v. Tilton, Second Circuit, securities, securities fraud, securities law, securities litigation, separation of powers, Seventh Circuit, stay of preliminary injunction, Tilton v. SEC, Timbervest, Timbervest LLC v. SEC, Wall Street Journal on September 18, 2015 by Straight Arrow. Today, August 3, 2015, Judge Richard Berman rules that Barbara Duka’s action to enjoin an SEC administrative proceeding against her could proceed in his court. In doing so, he endorsed the reasoning of Judge Leigh May in SEC v. Hill, on the issues of jurisdiction and whether the SEC ALJs are “inferior officers” for purposes of the Appointments Clause of Article II of the Constitution. Judge Hill’s decision is discussed here: Court Issues Preliminary Injunction Halting Likely Unconstitutional SEC Proceeding. Judge Berman’s decision can be read here: Decision & Order in SEC v. Duka. 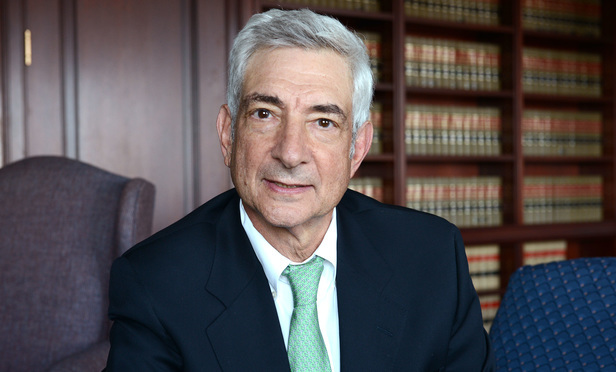 Judge Berman previously addressed the jurisdiction issue, ruling in Ms. Duka’s favor, but nevertheless denied her request for a preliminary injunction because he found she was unlikely to succeed in showing that the removal limitations protecting SEC administrative law judges from removal by the President violated the separation of powers. See In Duka v. SEC, SDNY Judge Berman Finds SEC Administrative Law Enforcement Proceedings Constitutional in a Less than Compelling Opinion. That decision can be read here: Order Denying Relief in Duka v. SEC. The issue in this case, and others filed since then, has turned to whether the appointment of SEC ALJs violates Article II’s Appointments Clause. Judge Berman was not prepared to dismiss an action on that issue, and seemed to be leaning in favor of Ms. Duka on the merits of the violations and the issue of relief. Today, he did not address Ms. Duka’s motion for a preliminary injunction; he simply denied the SEC’s motion to dismiss the action. The courts are badly split on the jurisdictional dispute over whether an SEC enforcement respondent may bring a court action to enforce a proceeding alleged to be unconstitutional, rather than litigation the case to completion and raising the constitutionality issue before the SEC and, eventually, likely years later, before a court of appeals. On the other hand, the courts that have addressed the issue of whether SEC administrative law judges are “inferior officers” from a constitutional standpoint — and therefore subject to the constitution’s Article II appointment (and presumably other) restrictions — seem to be less divided. The decisions seem to favor the view that these ALJs are to be treated as “inferior officers” under binding Supreme Court precedent. They generally appear to favor the analysis laid out in our earlier discussion of this issue here: Challenges to the Constitutionality of SEC Administrative Proceedings in Peixoto and Stilwell May Have Merit. The Court stated in its Decision & Order that “[t]he Supreme Court’s decision in Freytag v. Commissioner, 501 U.S. 868 (1991), which held that a Special Trial Judge of the Tax Court was an ‘ inferior officer’ under Article II, would appear to support the conclusion that SEC ALJs are also inferior officers.” . . . The Court here concludes that SEC ALJs are “inferior officers” because they exercise “significant authority pursuant to the laws of the United States.” Freytag, 501 U.S. at 881. . . . The SEC ALJs’ positions are “established by [l]aw,” including 5 U.S.C. §§ 556, 557 and 15 U.S.C. § 78d-1(a), and “the duties, salary, and means of appointment for that office are specified by statute.” . . . And, ALJs “take testimony, conduct trials, rule on the admissibility of evidence, and have the power to enforce compliance with discovery orders.” Freytag, 501 U.S. at 881. “In the course of carrying out these important functions, the [ ALJ s] exercise significant discretion.” Id. ; see also Hill, 2015 WL 4307088, at *17 (“like the STJs in Freytag, SEC ALJs exercise ‘significant authority.”‘). The Court is aware that Landry v. FDIC, 204 F.3d 1125 (D.C. Cir. 2000) is to the contrary. The Appointments Clause in Article II provides: “[T]he Congress may by Law vest the Appointment of such inferior Officers, as they think proper, in the President alone, in the Courts ofLaw, or in the Heads of Departments.” Constitution, Art. II,§ 2, cl. 2. It is well-settled that the Appointments Clause provides the exclusive means by which inferior officers may be appointed. . . . For purposes of the Appointments Clause, the SEC is a “Department” of the Executive Branch, and the Commissioners function as the “Head” of that Department. . . . There appears to be no dispute that the ALJs at issue in this case are not appointed by the SEC Commissioners. . . .
Judge Berman also addressed a question that has been studiously avoided by the SEC — whether the infirmity in the appointments of ALJs can be easily remedied: “Judge May also determined that ‘the ALJ’s appointment could be easily cured by having the SEC Commissioners issue an appointment or preside over the matter themselves.’ . . . Plaintiffs counsel in the instant case reached the same conclusion at a conference held on June 17, 2015, stating that ‘I think that [having the Commissioners appoint the ALJ s] is one of [the easy cures] .’ . . . And, it appears that the Commission is reviewing its options regarding potential ‘cures’ of any Appointments Clause violation(s).” . . . The SEC has generally declined to address this issue, noting a quick fix may not be available, and preferring instead to focus on beating back the court challenges. Judge Berman, however, gave the SEC a chance to address the issue in his court before deciding the preliminary injunction motion: “The Court reserves judgment on Plaintiffs application for a preliminary injunction and/or imposition of such an injunction for 7 days from the date hereof to allow the SEC the opportunity to notify the Court of its intention to cure any violation of the Appointments Clause. The parties are directed not to proceed with Duka’ s SEC proceeding in the interim.” Slip op. at 6. The SEC is unlikely to change course in response to this invitation (which also came up previously with him in the course of oral argument). Judge Berman’s decision. however, adds fuel to the fire. It seems unlikely that the issue will be resolved until it gets through the appellate courts, and possibly the Supreme Court. That’s a long time to wait and see whether judges current adjudicating SEC administrative cases are doing so lawfully. It also creates a risk that adjudicative decisions made in the interim may have to be vacated in the future if the appointment of these ALJs is ultimately found invalid. There could be a better, less wasteful, and less risky approach if the SEC would address the issue as a problem to be solved rather than a challenge to be rebuffed. This entry was posted in Administrative Proceedings, SEC Enforcement, Securities Law and tagged administrative courts, administrative law judge, administrative proceeding, ALJ, Appointments Clause, Article II, Barbara Duka, constitutionality, Duka v. SEC, Freytag, Freytag v. Commissioner, Hill v. SEC, Judge Leigh Martin May, Judge Leigh May, Judge Richard Berman, jurisdiction, lawyer, legal analysis, N.D. Ga., Richard Berman, S.D.N.Y., SEC, SEC enforcement, SEC v. Duka, securities, securities fraud, securities law, securities litigation, separation of powers, subject matter jurisdiction on August 3, 2015 by Straight Arrow. 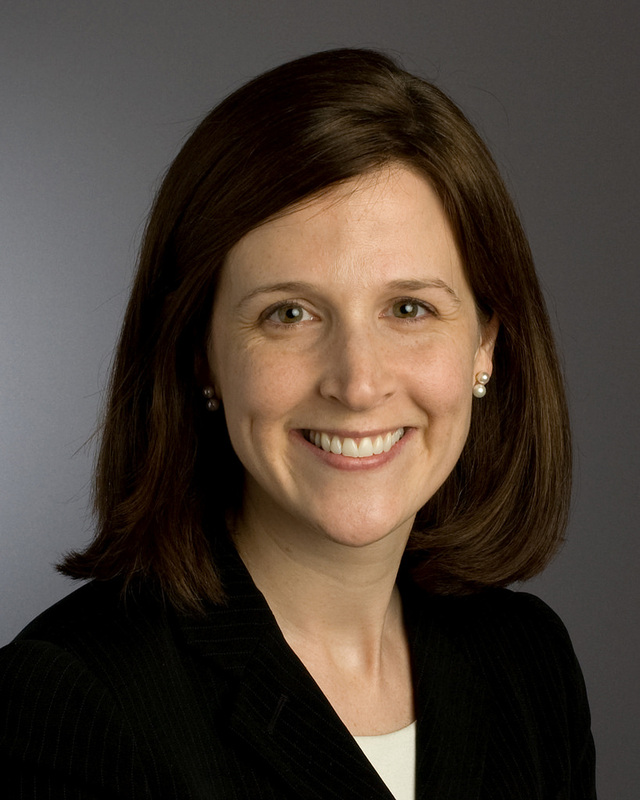 In a breakthrough development, Northern District of Georgia federal district judge Leigh Martin May found that Charles Hill, a respondent in a pending SEC administrative proceeding, had a “substantial likelihood of success” of showing that the proceeding against him is unconstitutional because the appointment of the administrative law judge presiding over his case violated the appointments clause of Article II of the Constitution. That is one of several arguments that have been made against the legality of the SEC’s administrative enforcement proceedings, and this is the first court to treat any of those arguments seriously. Judge May’s decision is here: Order in Hill v. SEC. 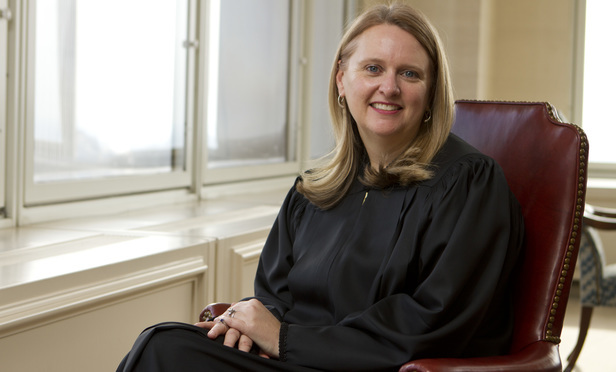 Judge Leigh May. Photo by John Disney/Daily Report. The opinion, while tempered, is an eye-opener for the SEC, which has so far convinced other courts (and no doubt themselves) either not to consider these arguments or give them short shrift. The Commission now has no choice but to reconsider whether its recent determination to shift important enforcement cases from federal courts to its administrative courts still makes sense. One can assume there will be every effort to appeal this decision and get this decision overturned on an expedited basis, but that could take months, even in an accelerated proceeding, and the Eleventh Circuit might end up agreeing with Judge May. The availability of a stay pending appeal may be in doubt because the order only halts the one proceeding against Mr. Hill, making the need for a stay questionable. Alternatively, the Commission could expedite its own consideration of this issue in the pending Timbervest administrative proceeding (see SEC Broadens Constitutional Inquiry into Its Own Administrative Judges in Timbervest Case), rule in its own favor, and possibly get the issue to an appellate court with an added argument that the SEC’s decision is entitled to some deference. Since Timbervest is located in Atlanta, that may also end up before the Eleventh Circuit. In the meantime, there is a cloud over the entire SEC administrative enforcement process, although, as noted, Judge May’s order itself only halts the impending adminsitrative trial of Mr. Hill. Judge May’s opinion was careful and thorough. In the end, it came down to a single issue: whether the SEC’s administrative law judges are “executive officers” subject to the appointments clause and other Article II limits on diminishing executive power. Some time ago, we wrote that this was a serious issue on which Supreme Court precedent seemed likely create problems for the SEC. See Challenges to the Constitutionality of SEC Administrative Proceedings in Peixoto and Stilwell May Have Merit. Until now, however, no court has been willing to give the argument thorough consideration. See In Duka v. SEC, SDNY Judge Berman Finds SEC Administrative Law Enforcement Proceedings Constitutional in a Less than Compelling Opinion. The opinion begins with a discussion of many of the respects in which “SEC administrative proceedings vary greatly from federal court actions.” Slip op. at 4. These include: the rules of evidence do not apply; respondents “are generally barred from taking depositions”; “SEC administrative proceedings also occur much more quickly than federal court actions”; “[c]ounterclaims are not permissible”; there is no equivalent of Rule 12(b) motions “to test the allegations sufficiency”; and “there is no right to a jury trial.” Id. at 4-5. It then discusses the respective powers of the ALJ and the SEC: the presiding ALJ is selected by the chief ALJ, presides over the matter and issues an initial decision; the SEC may order interlocutory review of any ALJ decision during the proceeding; the initial decision can be appealed by either party or reviewed by the SEC on its own initiative; a decision is not final until the SEC issues it, but if there is no appeal and the SEC does not review an ALJ decision “it is deemed the action of the Commission,” and the SEC issues an order making that decision final; SEC review is de novo and new evidence can be heard, but “the SEC will accept the ALJ’s ‘credibility finding, absent overwhelming evidence to the contrary.’” An SEC decision can be appealed to a federal court of appeals (either the D.C. Circuit or the Circuit where the respondent resides). On appeal, the “SEC’s findings of facts are ‘conclusive’ ‘if supported by substantial evidence.’” Id. at 5-7. The court then describes that SEC ALJs “are ‘not appointed by the President, the Courts, or the [SEC] Commissioners. Instead, they are hired by the SEC’s Office of Administrative Law Judges, with input from the Chief Administrative Law Judge, human resource functions, and the Office of Personnel Management.’” Id. at 7. Congress authorized the SEC to delegate any of its functions to an ALJ, and the SEC promulgated regulations making ALJs responsible for the “fair and orderly conduct” of proceedings and giving them the authority to: “(1) Administer oaths and affirmations; (2) Issue subpoenas; (3) Rule on offers of proof; (4) Examine witnesses; (5) Regulate the course of a hearing; (6) Hold pre-hearing conferences; (7) Rule upon motions; and (8) Unless waived by the parties, prepare an initial decision containing the conclusions as to the factual and legal issues presented, and issue an appropriate order.” Id. at 8. The court then moved to the specifics of Mr. Hill’s prosecution, noting that he moved for summary disposition on constitutionality grounds but that ALJ James Grimes ruled that he lacked the authority to address two of the three grounds asserted: that “Congess’s delegation of authority to the SEC to pursue cases before ALJs violates the delegation doctrine in Article I of the Constitution,” and that “Congress violated his Seventh Amendment right to jury trial by allowing the SEC to pursue charges in an administrative proceeding.” Id. at 10. See SEC ALJ Says He Lacks Authority To Decide Key Constitutional Challenges. Mr. Hill sought relief from the federal court to prevent the proceeding on these constitutionality grounds, and later amended his complaint to assert that the proceeding was also unconstitutional because “the SEC ALJ’s appointment violated the Appointments Clause of Article II as the ALJ is allegedly an inferior officer and he was not appointed by the President, the courts of law, or a department head.” Slip op. at 10-11. Turning to the legal determinations, Judge May first rejected the SEC’s contention that the court lacked jurisdiction to hear the case. The SEC made this argument successfully in cases previously brought by other respondents, including Wing Chau and Laurie Bebo. See SEC Wins First Skirmish on Constitutional Challenge to Chau Administrative Proceeding; Court Dismisses “Compelling and Meritorious” Bebo Constitutional Claims Solely on Jurisdictional Grounds. The SEC argued “that its election to pursue claims against Plaintiff in an administrative proceeding, ‘channels review of Plaintiff’s claims through the Commission’s administrative process, with review in the courts of appeals,’” that is, “judicial review can only come from the courts of appeal following the administrative proceeding and the SEC’s issuance of a final order in Plaintiff’s case.” Slip op. at 11-12. The court found this “in tension with 28 U.S.C. § 1331, which provides that federal district courts ‘have original jurisdiction of all civil actions arising under the Constitution, laws, or treaties of the United States,’ and 28 U.S.C. § 2201, which authorizes declaratory judgments.” Id. at 12. The court rejected the SEC’s argument that “Congress declared its intent for the administrative proceeding to be the exclusive forum for judicial review for these cases by allowing the SEC to make the administrative proceeding its forum choice,” finding instead that “Congress’s purposeful language allowing both district court and administrative proceedings shows a different intent. Instead, the clear language of the statute provides a choice of forum, and there is no language indicating that the administrative proceeding was to be an exclusive forum.” Id. at 13. (1) “If Plaintiff is required to raise his constitutional law claims following the administrative proceeding, he will be forced to endure what he contends is an unconstitutional process.” Slip op. at 15. Critically, Mr. Hill “does not challenge the SEC’s conduct in that proceeding or the allegations against him—he challenges the proceeding itself” (id. at 17). “Waiting until the harm Plaintiff alleges cannot be remedied is not meaningful judicial review.” Id. at 18. (2) The constitutional challenge is “wholly collateral” to the merits of the proceeding itself. “Plaintiff is not challenging an agency decision; Plaintiff is challenging whether the SEC’s ability to make that decision was constitutional. What occurs at the administrative proceeding and the SEC’s conduct there is irrelevant to this proceeding which seeks to invalidate the entire statutory scheme.” Id. at 20. (3) The constitutional issues are outside the SEC’s expertise. “Plaintiff’s constitutional claims are governed by Supreme Court jurisprudence, and ‘the statutory questions involved do not require technical considerations of agency policy.’” Id. at 21. This aspect of the opinion is consistent with Judge Richard Berman’s decision in Duka v. SEC (SDNY). Judge Berman, however, went on to reject Ms. Duka’s constitutional argument, finding the she was “unlikely to succeed on the merits” of that claim. Having likewise found her court had jurisdiction over Mr. Hill’s claim, however, Judge May went in a different direction on the merits of the preliminary injunction sought by Mr. Hill. The critical issue was whether Mr. Hill had “a substantial likelihood to succeed on the merits” on his constitutional claims. Judge May found no such likelihood of success for the argument that the power given to the SEC in the Dodd-Frank Act to bring these cases in its administrative court was an unconstitutional delegation of legislative power. Instead, she found this authority was a form of prosecutorial discretion that is an executive power, not a delegated legislative power. “When the SEC makes its forum selection decision, it is acting under executive authority and exercising prosecutorial discretion. . . . Because Congress has properly delegated power to the executive branch to make the forum choice for the underlying SEC enforcement action, the Court finds that the Plaintiff cannot prove a substantial likelihood of success on the merits on his non-delegation claim.” Slip op. at 23-29. On the Seventh Amendment jury trial issue, the court likewise found no substantial likelihood of success. Judge May found Supreme Court precedent on this controlling because SEC prosecutions involve “public rights,” since the SEC “is acting as a sovereign in the performance of its executive duties when it pursues an enforcement action.” The controlling Supreme Court case, Atlas Roofing Co. v. Occupational Safety & Health Review Comm’n, 430 U.S. 442 (1977), rejected the jury trial argument in administrative enforcement actions brought by OSHA. One might question whether this addresses the true jury trial issue in SEC cases. Unlike the OSHA case, the SEC traditionally prosecuted alleged violations of the securities laws by unregulated persons in federal court actions, in which there is a jury trial right as to non-equitable claims. Only after Dodd-Frank was enacted was the SEC permitted to commence the same actions in its administrative courts. That means the SEC was given the power to deny a defendant what for many years has been a jury trial right, and, because there are no standards governing how to go about doing this, currently does so without any enforceable or predictable guidelines for the decision. That raises a combination of jury trial, equal protection, and arbitrary and capriciousness arguments that the Atlas Roofing case does not begin to address. I expect a more definitive consideration of the jury trial issue is yet to come. Judge May did ultimately find a substantial likelihood of success on one of Mr. Hill’s constitutional arguments, which raises the question of whether it was prudent to decide these first two constitutional issues when they did not, in the end, have a bearing on her decision. Normally, a court strives to avoid constitutional issues if possible. The issue of whether the SEC ALJ is an inferior officer or employee for purposes of the Appointments Clause depends on the authority he has in conducting administrative proceedings. . . . The Appointments Clause . . . creates two classes of officers: principal officers, who are selected by the President with the advice and consent of the Senate, and inferior officers, whom “Congress may allow to be appointed by the President alone, by the heads of departments, or by the Judiciary.” . . . The Appointments Clause applies to all agency officers including those whose functions are “predominately quasi judicial and quasi legislative” and regardless of whether the agency officers are “independent of the Executive in their day-to-day operations.” . . .
“[A]ny appointee exercising significant authority pursuant to the laws of the United States is an ‘Officer of the United States,’ and must, therefore, be appointed in the manner prescribed by § 2, cl. 2, of [Article II].” . . . By way of example, the Supreme “Court has held that district-court clerks, thousands of clerks within the Treasury and Interior Departments, an assistant surgeon, a cadet-engineer, election monitors, federal marshals, military judges, Article I [Tax Court special trial] judges, and the general counsel for the Transportation Department are inferior officers.” . . . Plaintiff claims that SEC ALJs are inferior officers because they exercise “significant authority pursuant to the laws of the Unites States” while the SEC contends ALJs are “mere employees” based upon Congress’s treatment of them and the fact that they cannot issue final orders and do not have contempt power. . . . The Court finds that based upon the Supreme Court’s holding in Freytag, SEC ALJs are inferior officers. In Freytag, the Supreme Court was asked to decide whether special trial judges (“STJ”) in the Tax Court were inferior officers under Article II. . . . The Government argued, much as the SEC does here, that STJs do “no more than assist the Tax Court judge in taking the evidence and preparing the proposed findings and opinion,” id., and they “lack authority to enter a final decision.” . . . The Supreme Court rejected that argument. . . . The Court finds that like the STJs in Freytag, SEC ALJs exercise “significant authority.” The office of an SEC ALJ is established by law, and the “duties, salary, and means of appointment for that office are specified by statute.” . . . ALJs are permanent employees—unlike special masters—and they take testimony, conduct trial, rule on the admissibility of evidence, and can issue sanctions, up to and including excluding people (including attorneys) from hearings and entering default. . . .
Slip op. at 35-38 (citations omitted). Judge May went on to consider the divided decision of a D.C. Circuit panel in Landry v. Federal Deposit Insurance Corp., 204 F.3d 1125 (D.C. Cir. 2000), that ALJs at the FDIC were not executive officers. She was convinced that the concurring minority opinion in that case was more true to Freytag than the majority of the panel, and, like the concurring judge in Landry, concluded “that the Supreme Court in Freytag found that the STJs powers—which are nearly identical to the SEC ALJs here—were independently sufficient to find that STJs were inferior officers.” Slip op. at 40. Judge May also rejected the SEC’s argument that the court “should defer to Congress’s apparent determination that ALJs are inferior officers” because “Congress is presumed to know about the Appointments Clause, and it decided to have ALJs appointed through OPM and subject to the civil service system,” and therefore “intended for ALJs to be employees.” Id. at 41. Because the appointments clause “prevents Congress from dispensing power too freely,” Judge May found that argument unacceptable: “Congress may not ‘decide’ an ALJ is an employee, but then give him the powers of an inferior officer; that would defeat the separation-of-powers protections the Clause was enacted to protect.” Accordingly, the court found “that SEC ALJs are inferior officers.” Id. Moreover, because the SEC “concedes that Plaintiff’s ALJ, James E. Grimes, was not appointed by an SEC Commissioner,” he “was not appointed by the President, a department head, or the Judiciary” as the appointments clause requires.” As a result, “[b]ecause he was not appropriately appointed pursuant to Article II, his appointment is likely unconstitutional in violation of the Appointments Clause.” Id. at 42. We might add that by all appearances ALJ Grimes’s treatment of the constitutional challenges to the proceeding before him has been handled responsibly, even to the point of granting a subpoena on the SEC sought by Mr. Hill relating to a due process challenge on the basis of possible systemic bias in the administrative court. See SEC ALJ James Grimes Issues Important Discovery Order Against SEC. Judge May went on to find the other requirements for a preliminary injunction satisfied (id. at 42-43), and ruled that “a preliminary injunction is appropriate to enjoin the SEC administrative proceeding and to allow the Court sufficient time to consider this matter on the merits.” Id. at 44. The Court notes that this conclusion may seem unduly technical, as the ALJ’s appointment could easily be cured by having the SEC Commissioners issue an appointment or preside over the matter themselves. However, the Supreme Court has stressed that the Appointments Clause guards Congressional encroachment on the Executive and “preserves the Constitution’s structural integrity by preventing the diffusion of appointment power.” Freytag, 501 U.S. at 878. This issue is “neither frivolous or disingenuous.” Id. at 879. The Article II Appointments Clause is contained in the text of the Constitution and is an important part of the Constitution’s separation of powers framework. In addition, the Appointments Clause may not be waived, not even by the Executive. Id. at 880 (“Neither Congress nor the Executive can agree to waive this structural protection.”). As this likely Appointment Clause violation “goes to the validity of the [administrative] proceeding that is the basis for this litigation,” id. at 879, it is hereby ORDERED that Defendant, the Securities and Exchange Commission, is preliminarily enjoined from conducting the administrative proceeding brought against Plaintiff . . . including the hearing scheduled for June 15, 2015, before an Administrative Law Judge who has not been appointed by the head of the Department. The SEC is likely unprepared for this occurrence. But, as we previously wrote, the case law strongly supported the view that SEC ALJs are, indeed, inferior executive officers, and serious constitutional issues flow from that, including the appointments clause issue now decided against the SEC. As the court notes, there may be some tweaks that could clear up this issue, although they may well require action by Congress amending the statutory provisions governing the appointment of administrative law judges (an issue I’ve not looked at). But even if a “cure” is possible with such tweaks, they would not address the more fundamental question of whether the SEC is doing the right thing by bringing serious prosecutorial actions like these against persons not subject to SEC regulatory oversight in the administrative court. The lengthy list given by Judge May of the respects in which respondents are impeded from presenting a defense in the administrative forum, as compared to federal courts, should give a fair-minded Commission pause about whether its recent policy of increased administrative enforcement actions needs to be reconsidered. See Former SEC Enforcement Leaders Urge SEC To Reform Administrative Enforcement Process. The bottom line is that when unregulated persons are prosecuted for alleged violations and face debilitating demands for penalties and purported “disgorgement,” plus the usual SEC effort to bar these people from future employment as officers or directors of public companies, perhaps the “right” thing to do is allow them to defend themselves in a forum that provides a more level playing field. Is it really that hard to “do the right thing”? This entry was posted in Administrative Proceedings, Enforcement Overreaching, SEC Enforcement, Securities Law and tagged administrative courts, administrative law judge, administrative proceeding, ALJ, ALJ James Grimes, Appointments Clause, arbitrary and capricious, Article II, Atlas Roofing, Atlas Roofing v. OSHA, Barbara Duka, Bebo, Bebo v. SEC, Chau v. SEC, constitutionality, delegation of powers, Dodd-Frank, due process, Duka v. SEC, Enforcement Division, equal protection, Freytag, Freytag v. Commissioner, Hill v. SEC, In the Matter of Charles Hill, In the Matter of Charles L. Hill, Judge Leigh Martin May, Judge Leigh May, jury trial, Landry v. FDIC, lawyer, legal analysis, Leigh Martin May, right to jury trial, SEC, SEC enforcement, SEC v. Duka, securities, securities fraud, securities law, securities litigation, separation of powers, Seventh Amendment on June 9, 2015 by Straight Arrow. Court filings indicate that the SEC made a significant admission relevant to the constitutionality of its administrative law court during a hearing in the case brought by Lynn Tilton to enjoin the administrative proceeding brought against her. A letter sent to Judge Richard Berman, who is presiding over the similar action brought by Barbara Duka, Duka v. SEC, No. 15-cv-357 (SDNY), lays out what happened with a quote from a hearing transcript in Tilton v. SEC, No. 5-cv-02472 (SDNY). The letter was sent by the Justice Department, and it lays out the parties’ positions on the significance of what occurred in the Tilton case. (You can read a copy here: Letter to Judge Berman in Duka v. SEC. [The President] shall nominate, and, by and with the Advice and Consent of the Senate, shall appoint Ambassadors, other public Ministers and Consuls, Judges of the supreme Court, and all other Officers of the United States, whose Appointments are not herein otherwise provided for, and which shall be established by Law: but the Congress may by Law vest the Appointment of such inferior Officers, as they think proper, in the President alone, in the Courts of Law, or in the Heads of Departments. This would appear to mandate that “inferior Officers” of the United States may be appointed, with Congress’s approval, only by the President, the Courts of Law, or “the Heads of Departments.” The only way that could be satisfied as to the SEC ALJs (if they are “inferior Officers”) is if the SEC Commissioners are a “Head of Department” and they make the appointments of their ALJs. THE COURT: Can I ask you the factual question that I asked of Mr. Gunther? Who exactly appoints SEC ALJs? Can you tell me more about the appointment process? THE COURT: There is no factual dispute, okay. THE COURT: Let me just back up for a minute and ask you a question. If I find that the ALJs are inferior officers, do you necessarily lose? MS. LIN: We acknowledge that, your Honor, if this Court were to find ALJ [Foelak] to be an inferior officer, that that would make it more likely that the plaintiffs can succeed on the merits for the Article II challenge, at least with respect to the appointments clause challenge. In the letter to Judge Berman, Ms. Duka argues “this the first time the SEC has ever acknowledged that SEC Commissioners do not appoint SEC ALJs in some or all administrative proceedings” (emphasis in original), and seeks to amend her complaint to add an Appointments Clause violation as grounds for the injunctive relief she seeks. She also argues that in his previous decision denying a preliminary injunction, Judge Berman wrote “[t]he Supreme Court’s decision in Freytag v. Commissioner, 501 U.S. 868 (1991) … would appear to support the conclusion that SEC ALJs are also inferior officers,” and the “[b]ased on SEC’s admissions,” a ruling to that effect “would mean that Plaintiff is likely to succeed on the merits of her claim.” See In Duka v. SEC, SDNY Judge Berman Finds SEC Administrative Law Enforcement Proceedings Constitutional in a Less than Compelling Opinion. The SEC consented to the amendment of the complaint, but argued that its ALJs are “not Constitutional officers, and therefore the Appointments Clause is not applicable,” and that the amendment should not be grounds for new briefing of the motion for preliminary injunction. As noted in an earlier blog post, the SEC itself asked for briefing on the Appointments Clause issue in its review of the Iniital Decision in In the Matter of Timbervest, LLC. See SEC Broadens Constitutional Inquiry into Its Own Administrative Judges in Timbervest Case. This entry was posted in Administrative Proceedings, SEC Enforcement and tagged administrative courts, administrative law judge, administrative proceeding, ALJ, Appointments Clause, Article II, Barbara Duka, Carol Foelak, Commissioners, constitutionality, due process, Duka, equal protection, Freytag, Freytag v. Commissioner, Heads of Departments, inferior officers, Judge Richard Berman, Judge Ronnie Abrams, lawyer, legal analysis, Lynn Tilton, preliminary injunction, SEC, SEC Commissioners, SEC enforcement, SEC v. Duka, SEC v. Tilton, securities, securities fraud, securities law, securities litigation, separation of powers, Tilton, Timbervest on June 1, 2015 by Straight Arrow.